Untitled | I Am Not A Restaurant! Use your faves. By request I made dry roasted salted peanut and slivered almond nut brittle. If using raw nuts, I suggest toasting them in a dry pan or a 350 oven before adding to the candy. 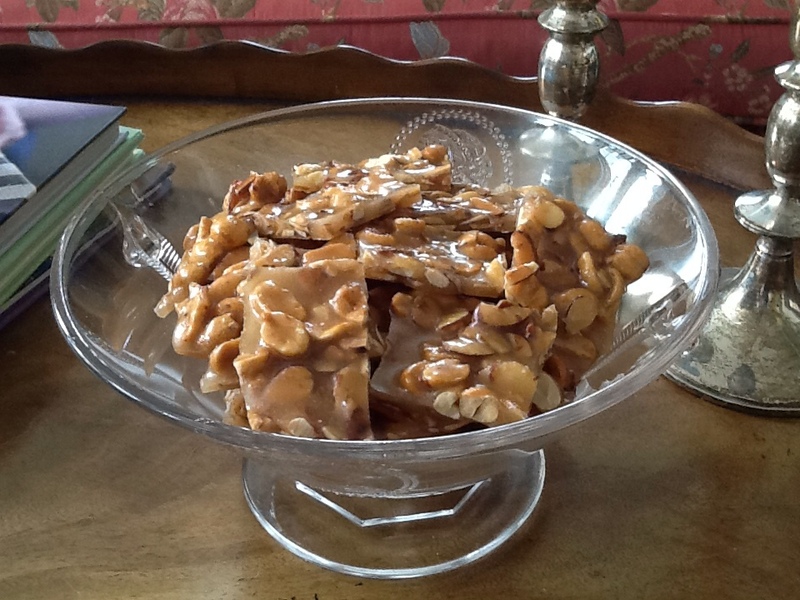 Jan30January 30, 2014 • By Betsy Karetnick • This entry was posted in candy, Dessert, Dish of the Day, Kitchen Help, Recipes and tagged Martha Stewart Living, peanut brittle. Bookmark the permalink.